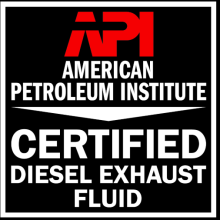 All diesel exhaust fluids must conform to the International Standards Organization (ISO) 22241-1. And no acceptable substitute is available. 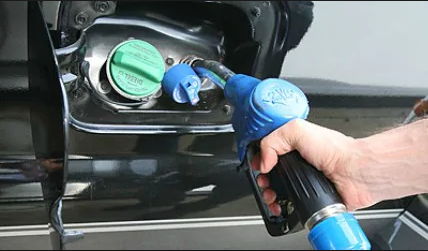 Note: DIN 70070 standard and diesel exhaust fluid specification limits of this standard are identical (ISO) 22241-1. DEF has a minimum expected shelf life of 18 months in these conditions. If DEF is stored at higher temperatures for a prolonged time, shelf life will be decreased by about 6 months for every 9°F (5°C) above the highest storage temperature listed above. Note that it is not recommended to store DEF in vehicles for over 6 months. If it is necessary to store DEF for a long period of time, perform periodic testing of the DEF to ensure that the concentration does not fall out of specification. 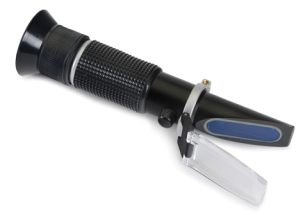 It is recommended to use a Diesel Exhaust Fluid Refractometer at the % Urea Concentration: 32.5 ± 1.5%. The DEF will freeze around 12°F (-11°C) if the minimum specifications are present. My DEF Is Frozen! What To Do? Chris Manescu joined the Mitchell 1 Commercial Vehicle Group as a Technical Editor in 2010. Chris worked as an ASE certified repair technician for over 20 years after his service in the United States Marine Corps.